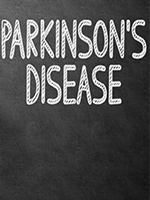 Nearly 3 times as many patients with newly diagnosed Parkinson’s disease had dependency in ≥1 activities of daily living (ADLs) compared with a healthy control group, a recent longitudinal, population-based study demonstrated. 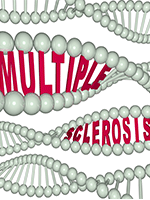 A recent study investigated the effects of alemtuzumab (Lemtrada) on disability measures in patients with Multiple Sclerosis (MS). 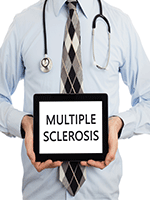 Despite improvements in radiographic diagnostic techniques, including magnetic resonance imaging (MRI), the misdiagnosis of multiple sclerosis (MS) is a common problem that can lead to treatment-related and psychosocial morbidity. 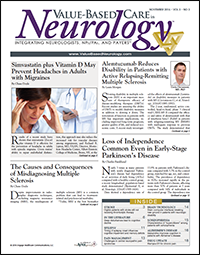 Results of a recent study have shown that simvastatin (Zocor) plus vitamin D is effective for the prevention of headache in adults with episodic migraine. Despite a dramatic increase in the use of thrombolytic therapy for acute ischemic stroke, 25% of eligible patients still do not receive this treatment, according to data from a national registry. *Are you applying tools to assess value in neurology care? A model study estimating the potential impact of increased use of sodium channel blockers (SCBs) among patients with partial-onset seizures suggests significant reductions in costs, according to data presented at the 2015 annual meeting of the American Academy of Neurology. Should Whole-Exome Sequencing Be Integrated into Neurologic Care? In a series of debates at the 2015 annual meeting of the American Academy of Neurology, expert physicians addressed current and controversial issues in neuroscience.